Heal a patient with your Zakat. Healing this Ramadan begins with Zakat. Every Muslim knows that Allah has promised healing for those who give charity. So how much more important and beneficial is it to give Zakat, which is obligatory on us all and the second pillar of Islam? Zakat is a right of the poor. For the giver, it cleanses wealth and purifies the soul from greed and worldly attachments. It is a vital step towards spiritual healing and drawing near to Allah. Learn about the Facts of Zakat, and Calculate your Zakat with our complete Zakat Guide and Calculator. For over two decades, we’ve born witness to the healing power of your Zakat, through the will of Allah. Without it, Shaukat Khanum Hospital would not exist. Last year we were able to provide free cancer treatment to 75% of our patients through Zakat funds. We covered all the diagnostic and therapeutic hospital fees of poor patients who could otherwise not afford treatment. Let your Zakat heal the sick, and reap its purifying benefits, for the sake of Allah. This Ramadan we need your Sadaqah just as much as we need your Zakat. Your Sadaqah and Sadaqah Jariya allows us to purchase life saving hospital equipment that we cannot buy with the Zakat funds. At Imran Khan Cancer Appeal, we are very particular about the disbursement of Zakat funds you entrust to us. Thats why the Zakat we receive is utilised exclusively for providing direct care to poor patients. For every other expense, we use Sadaqah. Find out more about how we spend your Sadaqh and why we rely on it just as much as your Zakat. Fundamental to the blessings of Ramadan is fasting, which provides healing to the body as well as the soul. All Muslims who fast for Allah (swt) know first-hand the untold spiritual benefits of this practice. But fasting also has amazing physical health benefits. What’s more, recent scientific studies even suggest that fasting can regenerate the immune system. Watch our Video and learn about the amazing transformations your body experiences during the Holy month. Remember, charity increases Baraka in our provisions and our health! Find out about paying Fidyah and Kaffarah to make up for fasts you can’t keep. Are you ready to reap the blessings and Baraka of Ramadan 2019 to the fullest? Check out our Guide to Ramadan 2019 -packed with useful tips, supplications and practices, based on the Holy Quran and Sunnah. It has answers to all your Ramadan questions, like: what should we recite on the Night of Decree (Laylat al-Qadr)? 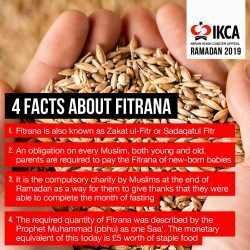 How much is Fitrana this Ramadan? What are the conditions of giving Fidyah? …and many more. Treat our Guide to Ramadan as your to-do list for Ramadan 2019, to ensure you don’t miss out on making the most of the holy month. 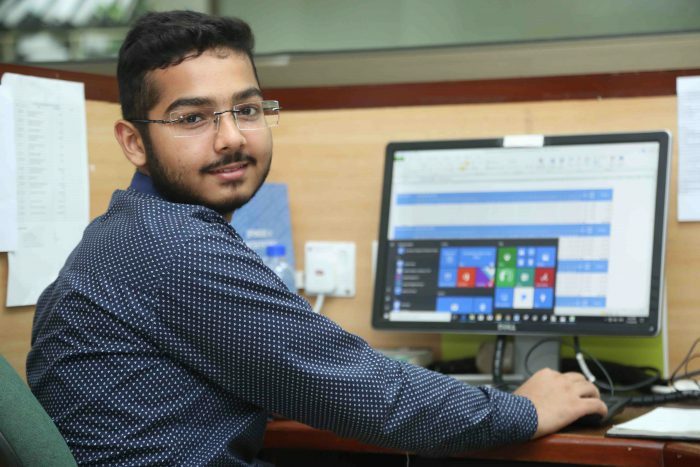 Every year, the IKCA Price Draw allows three lucky donors the chance to go to Lahore to visit Shaukat Khanum Hospital, and see the life saving work they have been supporting first hand. In appreciation for their ceaseless support, we like to give back to our donors in many ways. One of these ways is the IKCA Prize Draw. This year’s Prize Draw closes on June 7th 2019 – right after Eid ul-Fitr. Enter Today, for your chance to win! The five day trip is all expenses paid, and winners to date have described it as life-altering. You can find out more from them here: Find out about our 2018 Prize Draw Winners! Join Imran Khan Cancer Appeal for the #BigIftar challenge. Organise a fundraising iftar for your friends and family, and share your food with 100 cancer patients at Shaukat Khanum Hospital. It’s our easiest challenge yet. Simply sign up today to inform us of your intention to host a charity Iftar for your friends and family this Ramadan. If you need advice, information, fliers or collection buckets -we’ve got you covered and will support you through the process. On the day, you may choose to charge guests for their meals, or organise a collection on the day, or maybe even a raffle. All the money you raise will help feed cancer patients over the Holy Month.